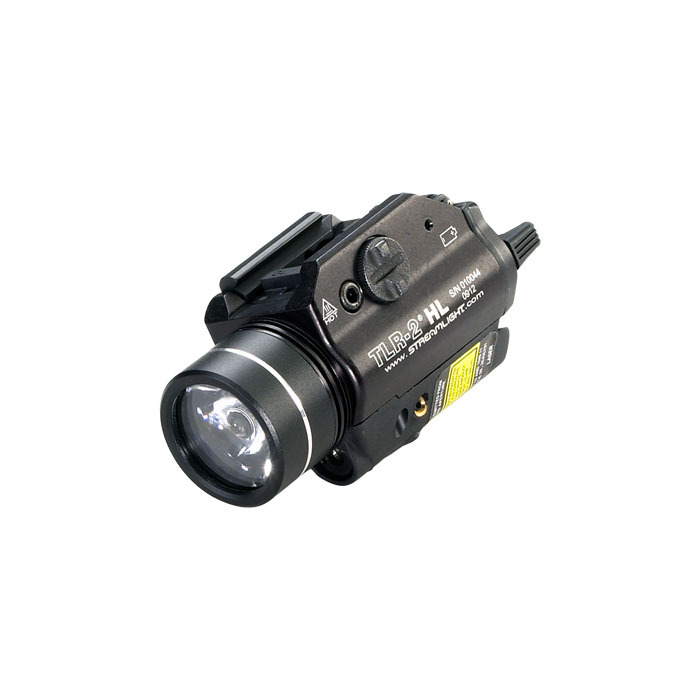 The Streamlight TLR-2 HL features the same proven features as the standard TLR-2, but offers over 800 lumens of steady or strobe white LED light with red laser. Ideal for room entry or house searching, the TLR-2 HL allows the user to identify who or what is nearby. 800 lumens - 1.75 hour run time. Mounts directly to handguns with Glock-style rails and to all MIL-STD-1913 (Picatinny) rails. Machined aluminum sealed construction with black anodized finish. Ambidextrous momentary/steady on/off switch. Limited Lifetime Warranty. Made in the U.S.A.